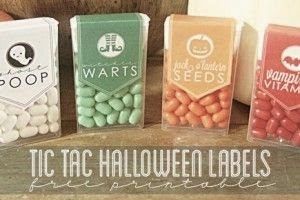 made these cute Tic Tac Halloween Labels. I have 8 adorable mothers that volunteer each week. Next week I have a 'lil treat for them.